The Chapman Family Guarantee!Your time is so important to us, that we're willing to back it up financially! Indoor Air QualityChapman offers an assortment of products that can improve the quality of your indoor air! Join our Comfort Club for just $15/monthWhile you handle the rest of spring cleaning, let us take care of the comfort system! 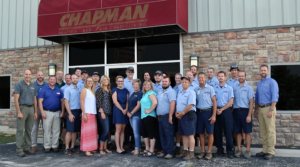 Why Chapman Heating & Cooling? 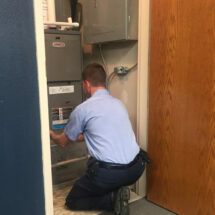 By doing what it takes to guarantee your complete satisfaction, Chapman Heating and Air Conditioning’s been made welcome in thousands of homes in central Missouri. We started in 1958 as Chapman Heating. Back then, there was very little air conditioning. 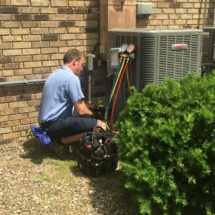 Now, we service all brands and specialize in air conditioning and furnace repair, as well as heat pumps and geothermal systems. 1. Take care of the customer. 2. Take care of the customer. 3. Take care of the customer. We proudly partner with Lennox and York to sell their home comfort products. We service all brands and models. 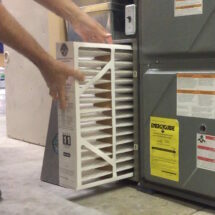 AC service, repairs, and maintenance on all brands. Over 60 years of experience for your comfort system. A combination of energy savings and comfort, personalized for your home! 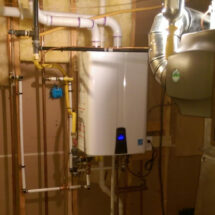 Upgrade your gas, electric, or tankless water heater today.